This last week was a whirlwind and has broken my mind wide open! 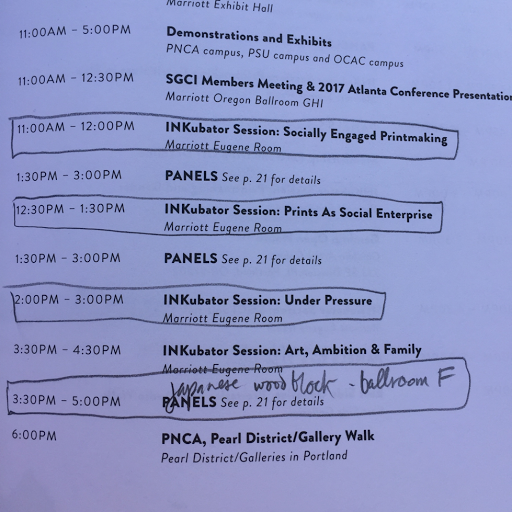 I went to SGCI, a huge printmaking conference in Portland. Here’s the quick story of that trip. First, I have to steel myself for a trip like this. Going to the city is very hard for me so I always go and visit my favorite places in nature before I leave. This is a spring that I drink from. 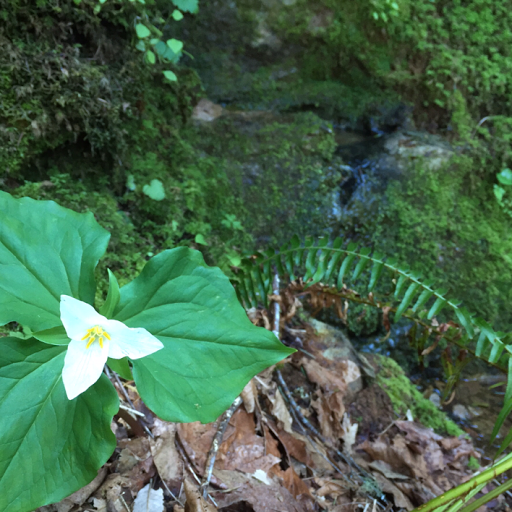 Ice cold water pours directly from the rock and today the trilliums were blooming. This is exactly the infusion of beauty that I needed before embarking. The other thing I try to do in preparation for days of sitting in conference rooms is to get some real cardio. In this case it was a brisk hike up and a leisurely jog down one of my favorite hills, the Rogue/Umpqua divide. 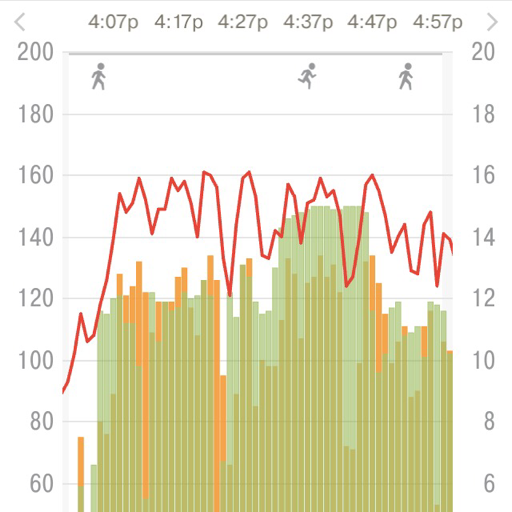 I kept my heart rate near 140 for a whole hour. This should help me retain my sanity in the hotel this weekend. 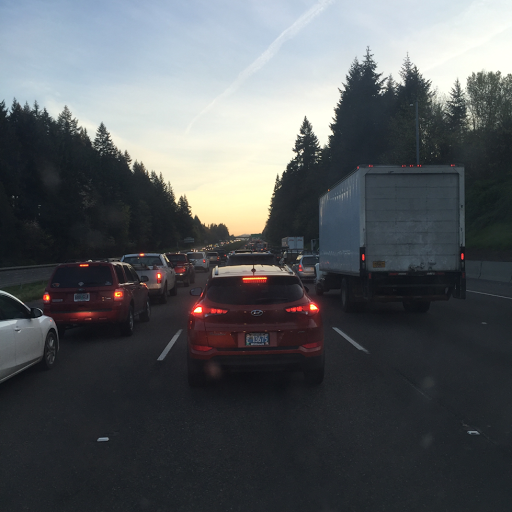 I stopped halfway to visit friends in Eugene for the evening and left early in the morning for Portland. Not early enough, apparently. 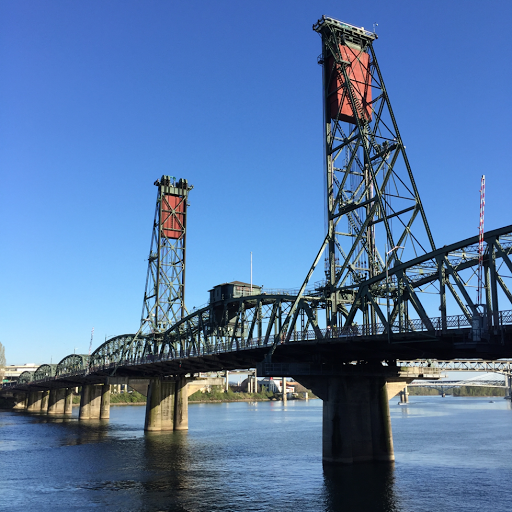 I did finally arrive and enjoy one of my favorite things about Portland, the beautiful bridges. I took a little while to review the schedule for the conference and make sure that I understood when and where I needed to be in order to maximize the experience. 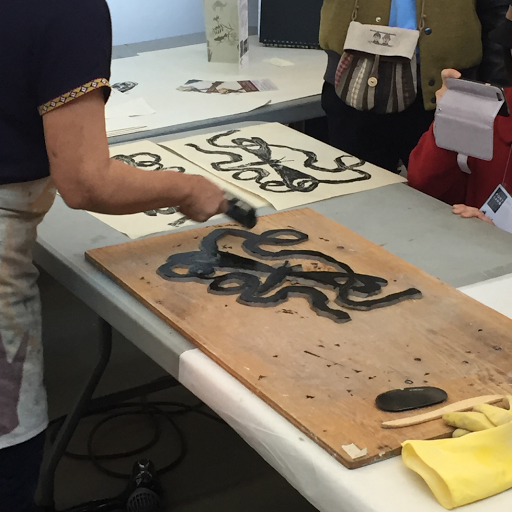 There were some amazing, mind-blowing demonstrations like this demo of using clay as a printing matrix. I have a feeling that techniques like this will find their way into my work eventually. The schedule was packed, too. In the evenings, I saw a dozen gallery openings and went to some fantastic open studios. 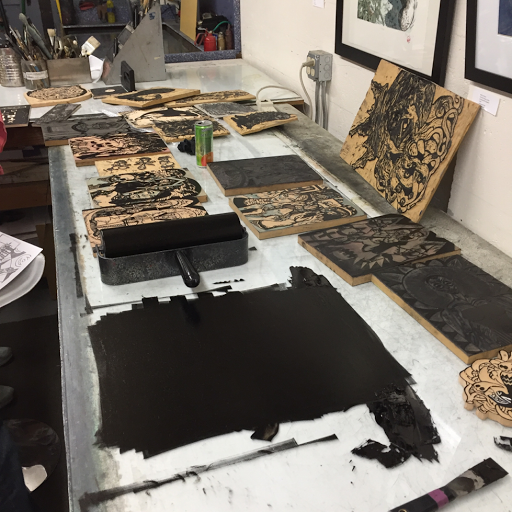 All of Portland was full of printmaking for the week. I didn’t take any pictures at Bite Studio, but I had a great time there chatting with my friend, Liv, about the studio and the printmaking world. You can see her inspiring work on her website, Xylographilia. Then I zipped to another part of Portland to attend an event called “Ink and Drink” at Atelier Meridian. It was amazing! I missed the afternoon demonstration of printing large wooden plates with a steam roller (yes, the piece of highway equipment!) but I was there in time to see some awesome demonstrations. First was a demo of using chine colle and solarplate in a monoprint by Ron Pokrasso. I was so rapt that I forgot to take pictures. Then it was getting dark so I went inside and took part in the t-shirt printing fundraiser, getting 3 new t-shirts in the process. They had boxes of blank shirts, a bunch of blocks, ink, and a gorgeous Takach etching press. We really had a blast! Then, the evening ended with a lengthy demonstration by Jane Pagliarulo, the owner of Atelier Meridian and quite a firecracker! 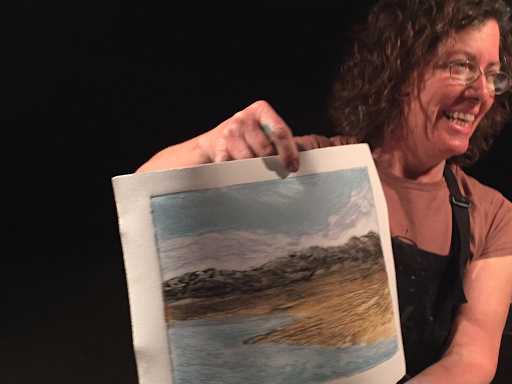 Took us through her whole process, starting with two pieces of plexiglass with a landscape traced onto them and ending with a gorgeous painterly monoprint of a seaside landscape. The last day was an amazing free-for-all! The event was called “Open Portfolios”, which didn’t really communicate the chaos and wonder that was in store for us. I want to give you a little perspective on this event… I’ve done shows at all levels from local craft fairs to top-of-the-line art shows all up and down the west coast. In six years of shows, I think I’ve seen, maybe, a dozen printmakers. This is not a large pool to draw inspiration from when I’m trying to find my way in an expansive set of disciplines. On Saturday, I estimate that I saw at least 500 print artists’ work. The format was strange and titillating. There was a giant room in the basement of the hotel with about a hundred tables in it. Each artist got a table for one session, lasting an hour. At the end of the hour, one set of artists left and another took their place. I think I saw six sessions. Some of the tables were empty sometimes, and some artists were there for more than one session. The funny thing is that it was so crowded that it basically took an hour to circulate the whole room. By the time I got to the end it was time to start again. This event contained artists at all skill levels. There were undergrads and beginners looking for feedback on their first work, seniors looking for grad school placement, grad students looking for residencies, studios and teachers looking for students, lifelong printmakers just showing off their latest work, and lots of folks with other reasons for showing. It was really a perfect ending to a fantastic conference. At the end of six sessions, my brain was completely mushy. I could not have possibly absorbed one more idea from one more artist so I left to start processing everything that I had seen. All-in-all, attending this conference was the absolute best thing that I could have done with my time.